My friend Alice is a huge foodie. She always has a story about a delicious dish she has just “whipped up.” Alice’s love of cooking started at an early age. She told me that she used to make one meal a week for her family. On one occasion she made an orange sorbet and served it in hollowed-out oranges. Did I mention she was 12 at the time? Here she shares her wonderfully organized spice drawer she created, which optimizes her kitchen space while providing every spice she needs to create her wonderful dishes. When I renovated my kitchen 14 years ago, I allocated a 12″ wide drawer for spice jars. The jars were standing upright, and the tops of the jars were all visible when you opened the drawer. 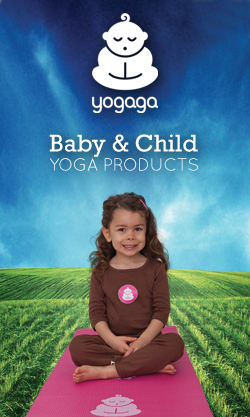 I made some fun labels and everything was fine – for awhile. Then I started buying cookbooks, and more cookbooks. My spice requirements grew and now my collection required more space than my small drawer accounted for. I didn’t have a larger drawer I could use, so I had to come up with a solution. My problem with the standard spice jars was that certain spices were used infrequently or in such small quantities that a full jar of them was not necessary, and those jars were taking up valuable space. My ideal solution was to find a jar type container that was as tall as the current ones but with a much smaller diameter, so I could fit more variety in less space. I searched online and found glass vials that seemed to be exactly what I was looking for. Many are sold online, but I was able to find them at the Efston Science Store which has sadly closed down since, but I did find them online as well here. 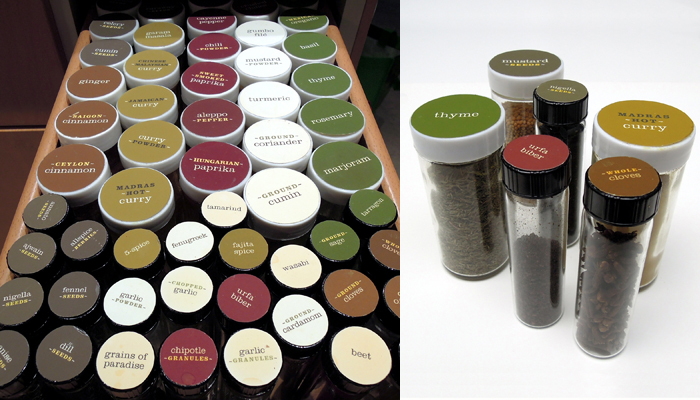 I decided what spices to move into the glass vials, and then set about creating new colour-coded labels. A sea of white labels was not very user friendly, so I grouped them and colour-coded each group. Chili peppers got a dark red, green herbs got green, curry and other blends got a mustard colour, and whole spices got a dark grey. In a drawer that previously fit 50 different spices, I now had 74! I’m extremely happy with my new system. It’s super easy to access and find what I need. Now, when I’m cooking up a storm in my kitchen, my spices are all easy to find and in arm’s reach! After you have sourced the vials, 1-2 hours. Divide your spices into two groups depending on the usage and quantities required in a recipe. Source containers for your drawer making sure they are not too high. Use your ruler to measure the top of your containers. Create labels that are approximately 1/16 to 1/8 of an inch smaller than the diameter. Decide on a colour palette and system that suits your cooking needs. Print out and carefully cut with scissors (remember these are rarely seen by anyone else so if they are not perfect that’s okay). Glue to lids and voila, you are a Foodie Spice Girl! ← DIY Herb Gardens we love!